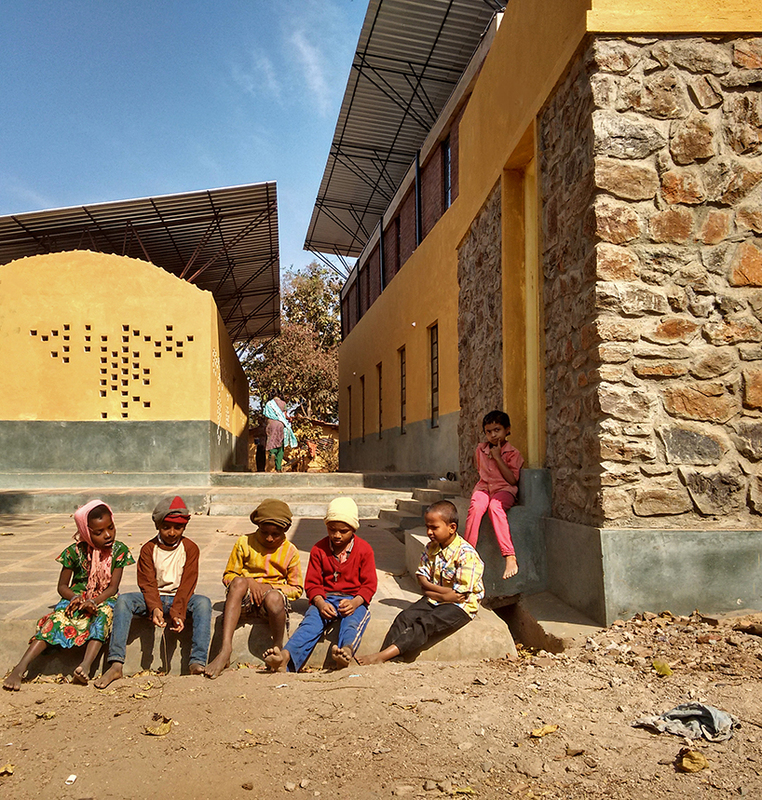 set within a secluded stretch of land in dharwad, india, the kalkeri sangeet vidyalaya learning complex by architecture studio kumar la noce is a free school with a strong emphasis on the performing arts. 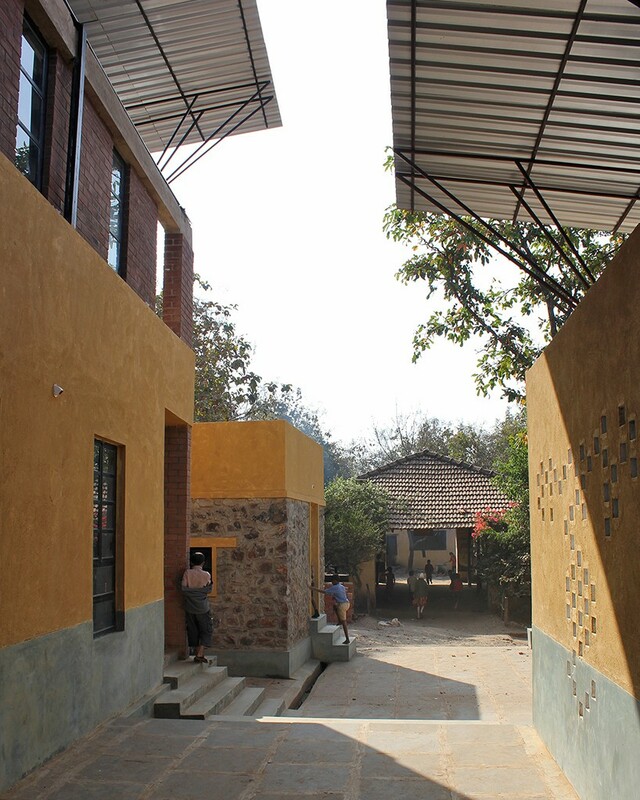 the project offers a library, art studio and labs for a music school that becomes the first ‘formal’ built structure on the campus. all throughout, the design intent was to create a layered and adaptable set of spaces for children — within the constraints of a tight budget, logistics and available resources. 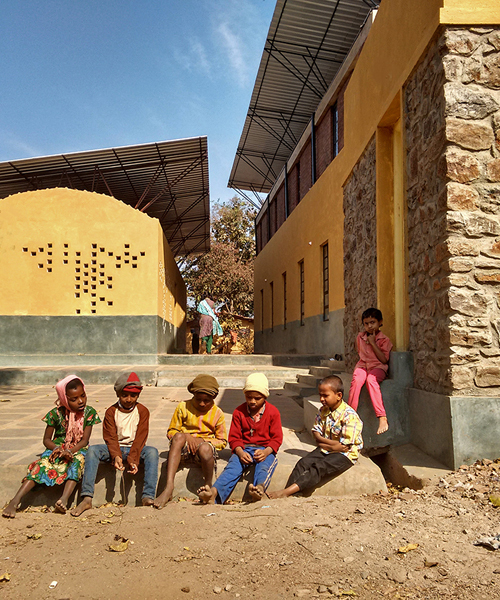 ‘the aim of our project was to design a library and learning center, which could be a dialogue between formal/informal, existing/new and low-cost/high-tech. 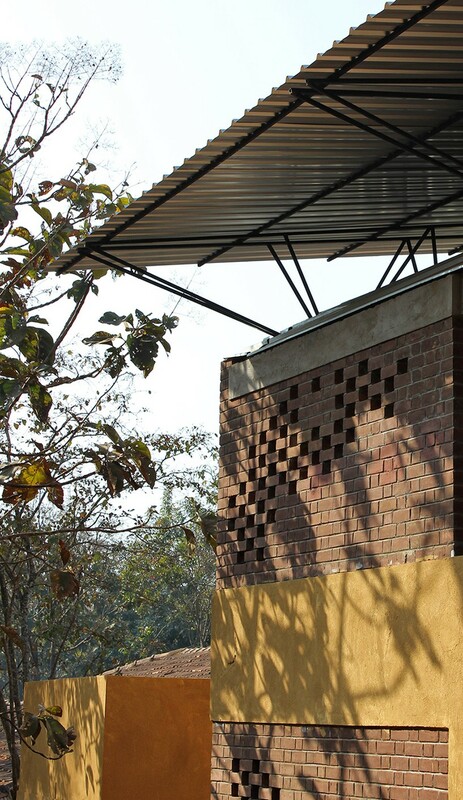 the technique of brickwork, plaster, structural design became strategic in providing spatial and architectural quality within strict constraints,’ states the team. kumar la noce has distributed the program amongst a cluster of three blocks, arranged around an open court and corridor. 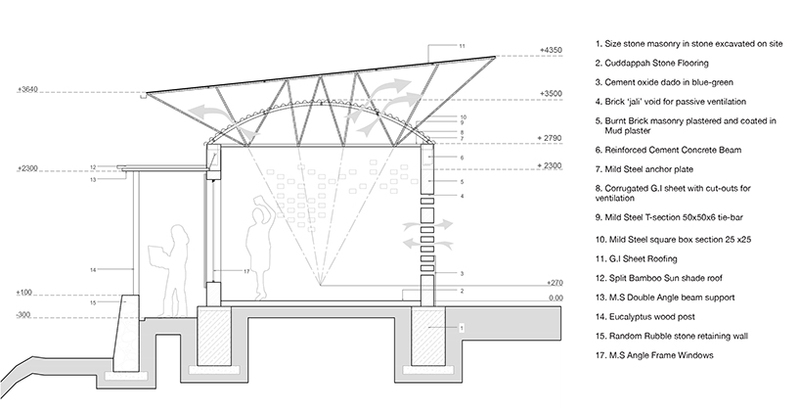 this approach scatters the ‘weight’ of the building both visually and physically. 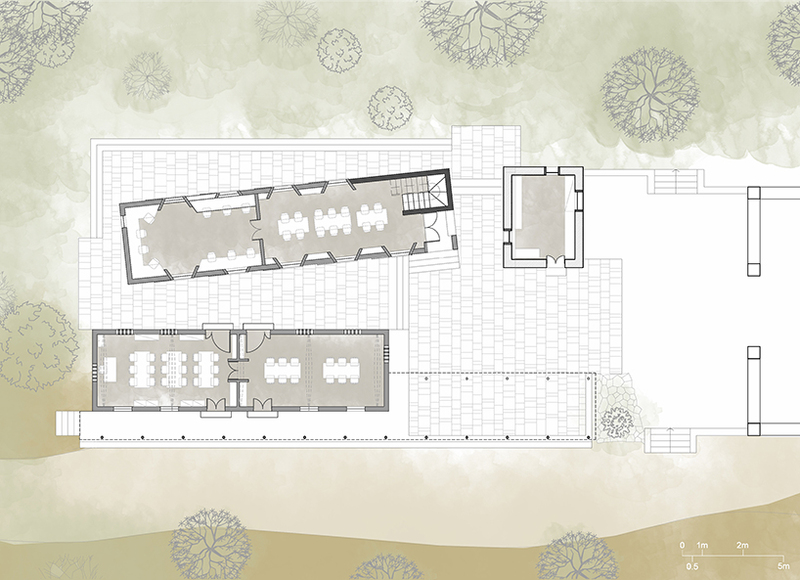 the composition and orientation of the blocks ultimately create a hierarchy of masses using simple volumes — where views and perceptions of spaces also differ. 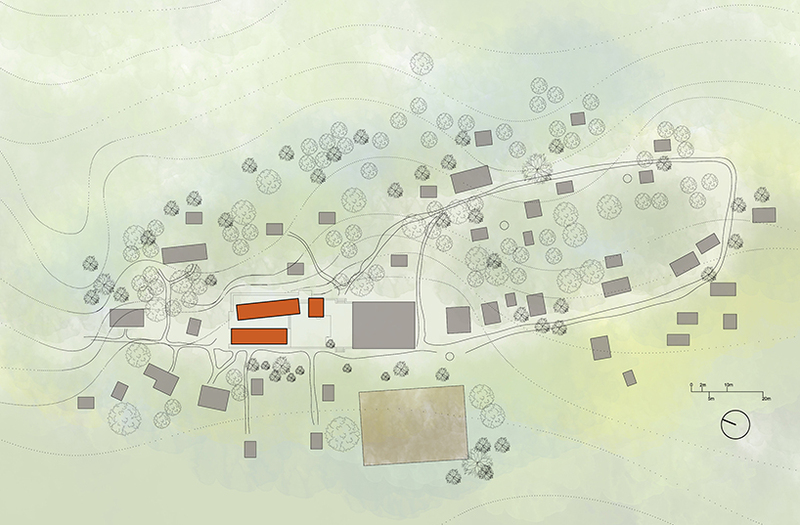 the in-between zones become versatile ‘life-spaces’ adaptable to various events, gatherings and outdoor classes. in addition, a long veranda/corridor along the length of the south façade provides a shaded open area, covered by a bamboo slat roof. 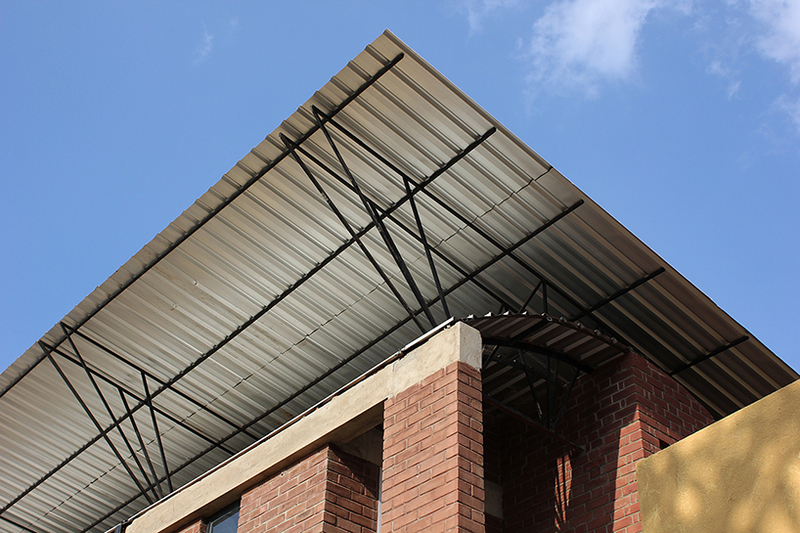 for this project, it was crucial to keep the structure as light as possible but still robust. the two main blocks have a double roof, one vaulted and the other inclined. 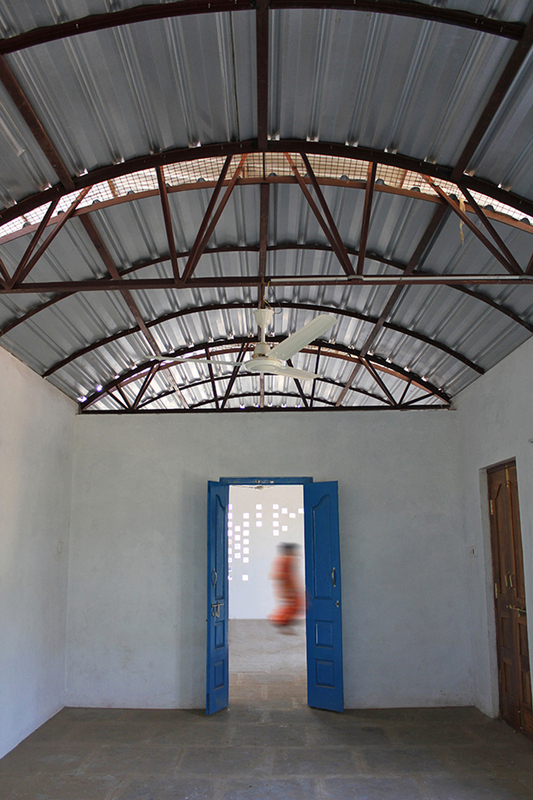 the vaulted one has ‘eyelets’ cuts that help create a passive ventilation cycle, while the structure holding up the roof emerges out of these cuts to support the inclined top. brick jail patterns travel along the walls, keeping the rooms continuously aerated and adding interesting shadows and textures to the spaces. 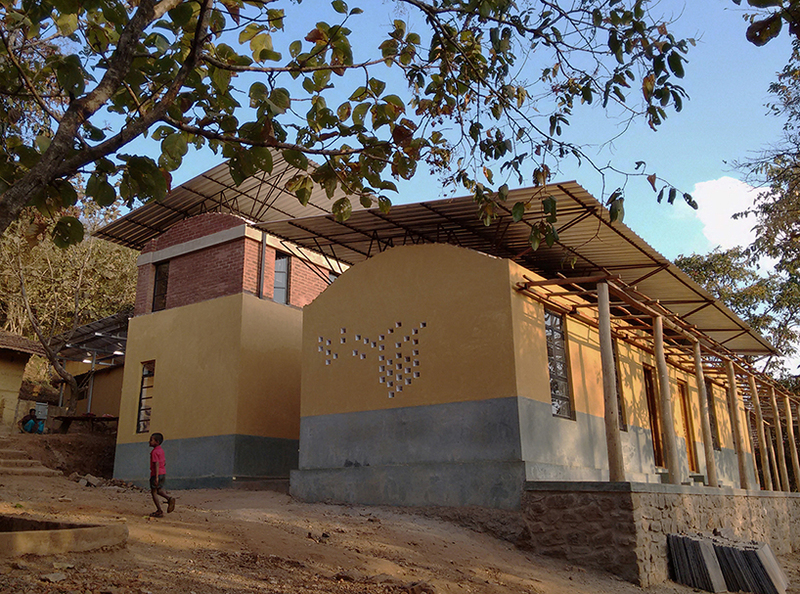 materials used for the construction of the learning complex are locally sourced brick and cuddappah stones. 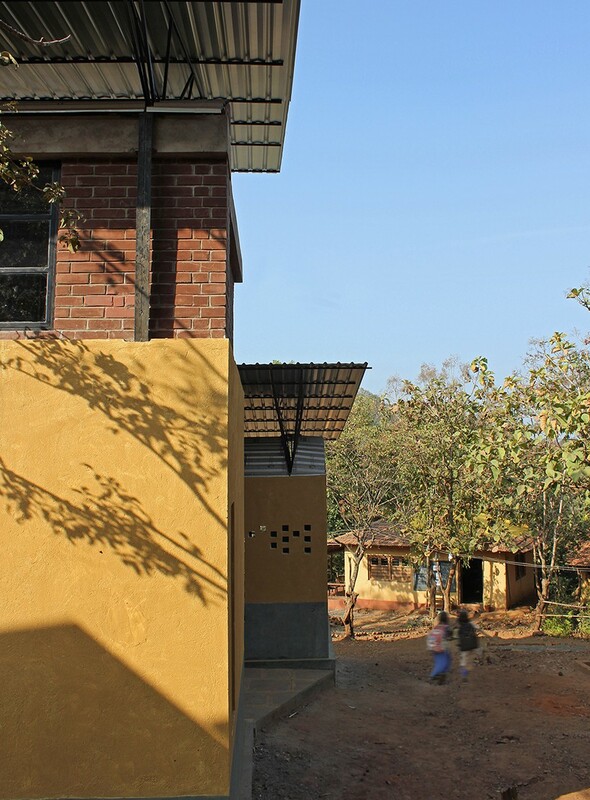 a layer of mud paint gives the buildings their ochre color, similar to all the other huts around. on the other hand, a mossy blue-green cement oxide dado complements the ochre while protecting the bases of the blocks from dirt and grime.